Changing up your hair color can be fun and give you a whole new look, but all the chemicals used can damage your tresses. African-American hair is usually drier than most other types of hair, so it’s particularly susceptible to damage from chemicals. Treatment of color-damaged black hair is similar in many ways to that of other hair types. 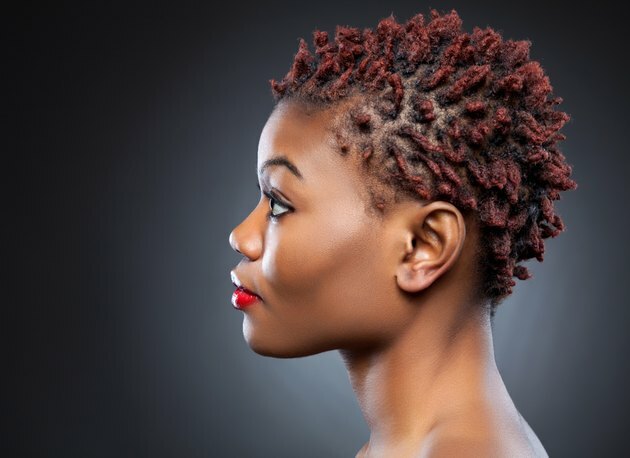 It’s important to treat color-damaged black hair properly to encourage new hair growth, promote repair and get your mane back on track to healthy. Wash your hair with shampoo and conditioner specifically designed for color-damaged hair. Look for products that contain moisturizing ingredients. Apply a protein treatment to your hair two to three times per month. Protein treatments replace the protein in the hair that is lost through processing, and protein helps strengthen your damaged hair. Follow the manufacturer’s instructions for using the protein hair treatment, as this will vary among products. Use a leave-in conditioner on your hair after each time you wash it. This helps seal in moisture, which will likely be lacking with color-damaged hair. Deep condition your hair every week. Use a store-bought product or make your own by mixing 1 egg and 1 cup of olive oil. Add a few drops of your favorite essential oil if you want a nice aroma. Apply the homemade deep conditioner to your dry hair. Cover your hair with plastic wrap, wait 30 minutes and then wash your hair as usual. If using a store-bought deep conditioner, follow the manufacturer’s instructions for using the product. You can also apply warm olive oil to your dry hair and leave it for 30 minutes. Using a heated deep conditioner can generate better results when it comes to damaged hair. Apply shea butter to the ends of your hair. The ends are often the most damaged when it comes to chemically processed black hair, and using shea butter helps to replenish and seal in the moisture. After apply a thin coating of shea butter, wrap the ends in plastic wrap for 30 minutes before washing your hair as usual. Rinse your hair with diluted white vinegar after shampooing and conditioning. Use 4 tablespoons of white vinegar per quart of warm water. Pour the vinegar through your hair. Vinegar is acidic and helps to strengthen your hair.